as a Human Sciences course. The Shuai Chiao Kungfu Demo Team relaxes with wall-sits after their performance. Willie was a silver medalist. 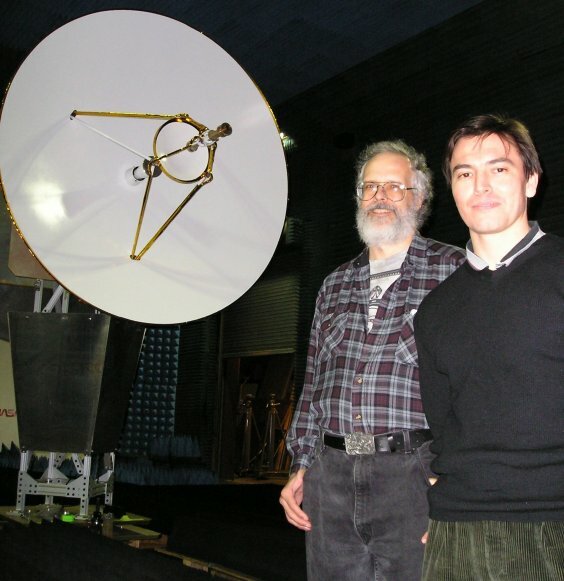 with Sifu Grigsby and the New Horizons Probe antenna. The probe is now speeding at 31,000 mph away from Pluto; over 3 billion miles away. 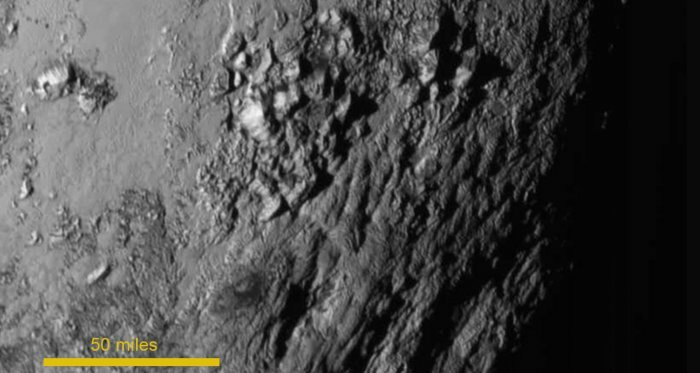 The New Horizons Probe flew by Pluto on July 14th, 2015! 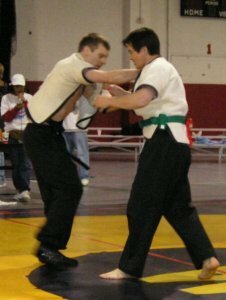 The Shuai Chiao Club Demo Team performed on Saturday the 23rd. Special thanks to veteran club members Fabricio, Jahi, and Marya. Congratulations to our Club members, and thanks to assisting black belts, Mr. Trepanier and Ms. Lake. Video: Mark stays in close for a surprising counter at the 2015 GLKF. Congratulations to our Silver Medalists: Marya Barrios, Jaron Bernstein, and Fabricio Castellano. Thanks to our master presenters, and all who attended this historic event! 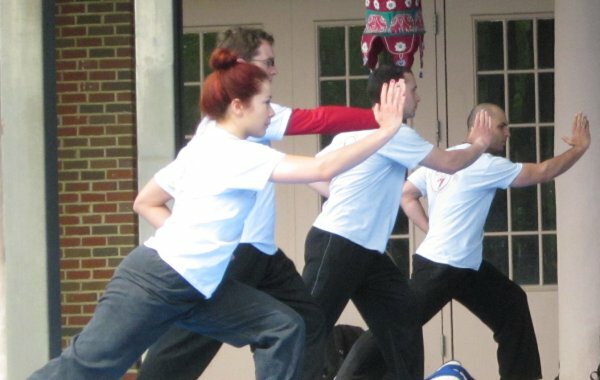 Over 60 people participated, and the Shuai Chiao Kungfu Club had seven members there. 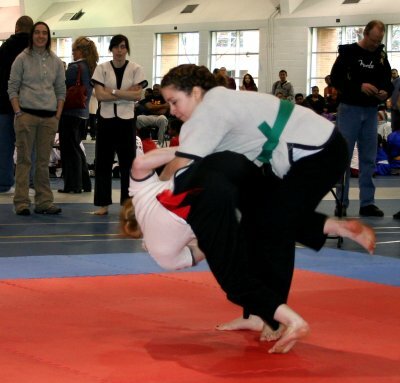 Come to see the OSU Martial Arts Clubs demonstrate their styles and answer questions. 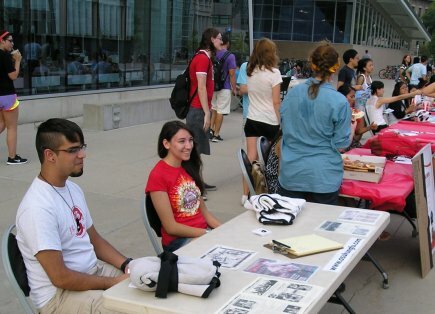 Dan, Michelle, and Tom answer questions at the OSU Kungfu table. will have their 2:00pm, Saturday the 28th, practice at Comfest. 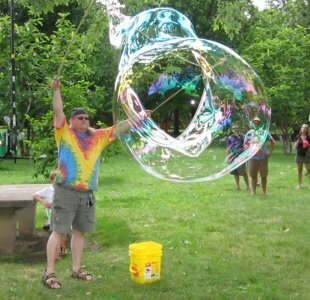 Meet at the north end of Goodale Park, just west of the big pond. 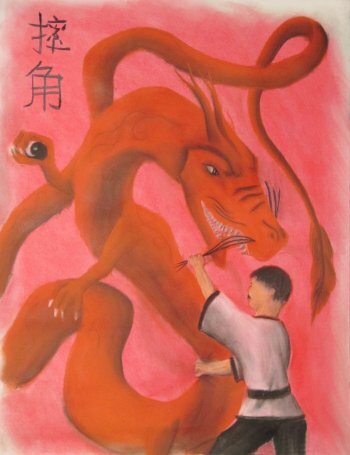 are welcome to attend and participate in Taiji push hand practice! 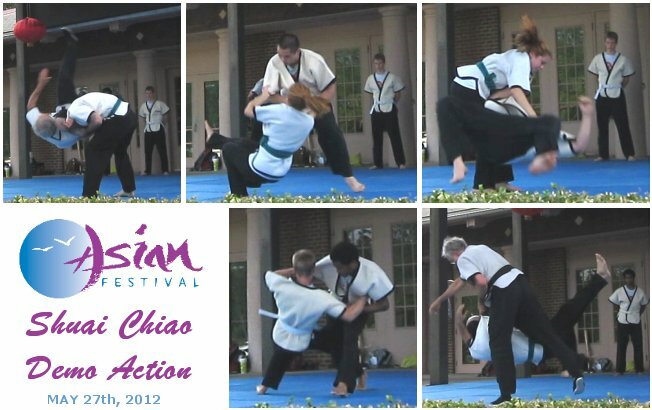 Marya Barrios throws Fabricio Castellano at the 2013 Asian Festival Shuai Chiao demonstration. 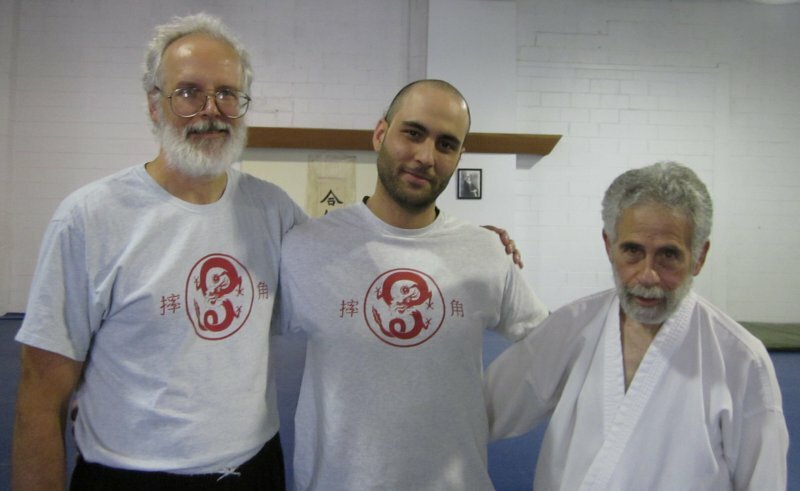 Shorin-ryu Karate, Ba-qua Kung-fu, and the Shuai Chiao Kungfu Club at OSU. 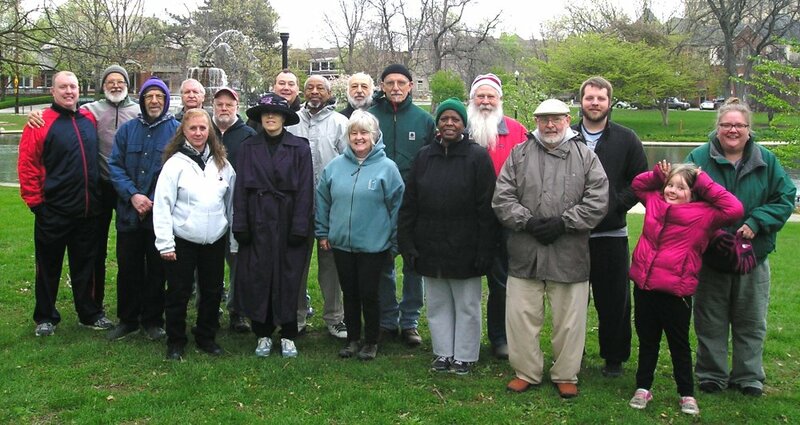 Thanks to all who joined us at Goodale Park in Columbus, Ohio to celebrate this world-wide event! Wesley Bacon, Fabricio Castellano, Michelle Kaiser, Daniel Murphy, David Morgan, and Emil Slobodnik. Wesley Bacon won 1st, Michelle Kaiser won 2nd, and Fabricio Castellano won 3rd in their divisions. Rec Sports staff keep the Sport Clubs under control..... for the "Wheelbarrow Races," etc., of Field Day! Coaches Mike Grigsby of Shuai Chiao and Mark Holtman of BTSD enjoying the Field Day event. 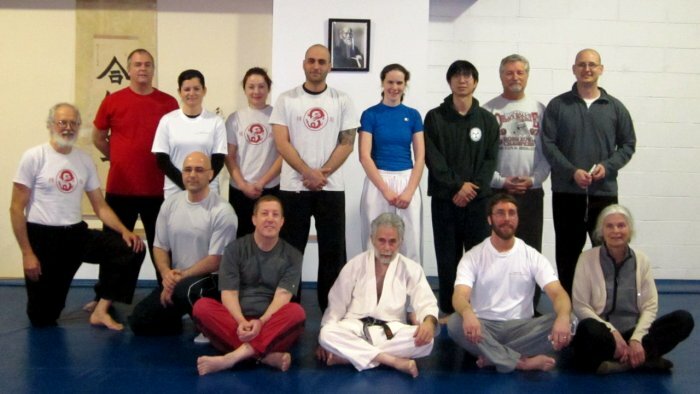 Congratulations to the ten OSU Kungfu Club members who passed their Shuaijiao Belt Test. who served on the Belt Test Committee. 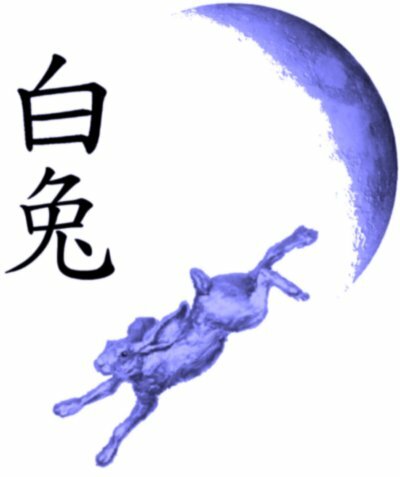 along with Tai Chi, practical applications, and a sparring demonstration. 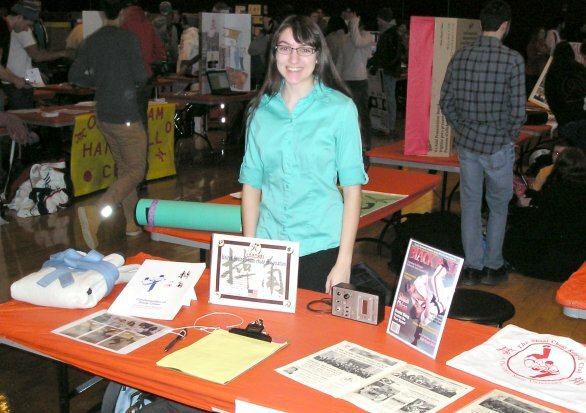 Club Vice-President Michelle at the Fair. St. Clair College gymnasium in Windsor, Ontario, Canada (just south of Detroit). Entry: $50, only $25 per person for teams of four or more! (This allows for shuai-chiao and any other divisions: forms, weapons forms, other sparring, in which you would like to engage). 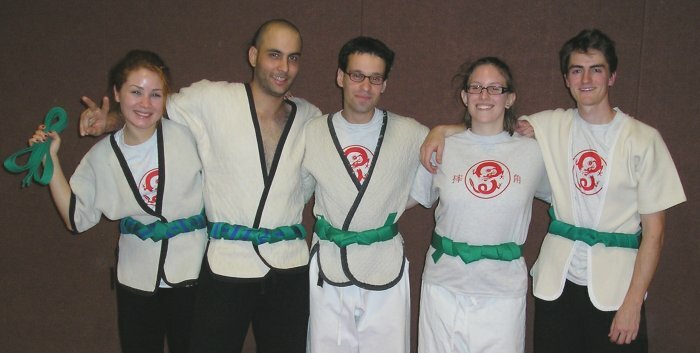 The Shuai Chiao Kungfu Team, with coach Grigsby. Our team made it to the semifinals. 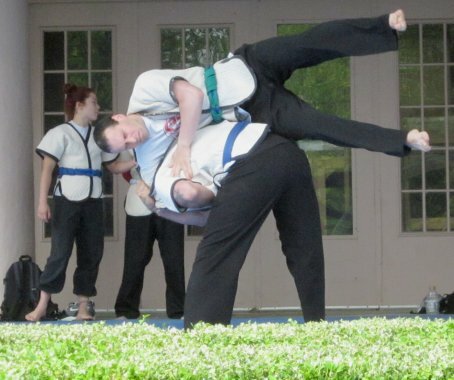 The Shuai Chiao Kungfu and Buckeye Tang-Soo-Do teams pair up in the early matches. 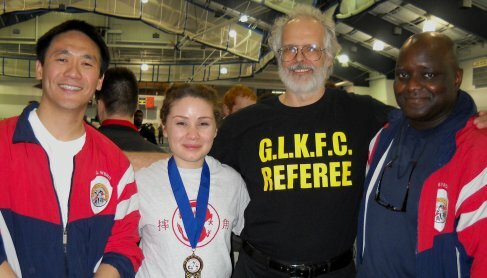 Many thanks to our Kungfu Club members, and to all the teams who came out to support this event. The topic was, "Compassion in the martial arts." 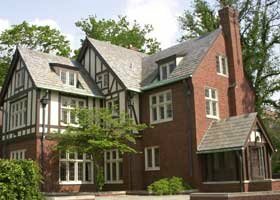 Ba-qua Kung-fu, and the Shuai Chiao Kungfu Club at OSU. 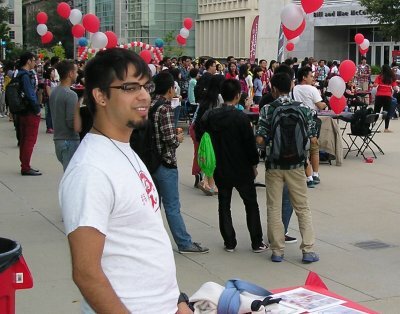 Taylor and Michelle at our event table on the RPAC plaza. 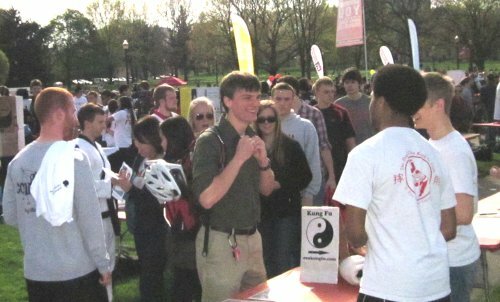 The OSU Kungfu Club met hundreds of students at this annual Oval event. 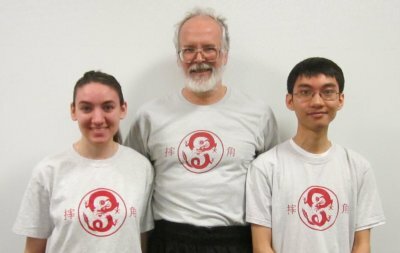 Congratulations on a successful test to Fa and Marya, 2nd Chieh, and Emil and Mark, 3rd Chieh. 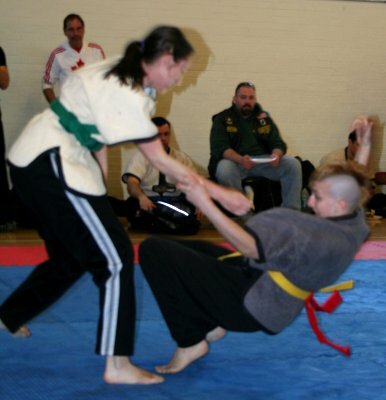 And, thanks to local Shuai Chiao Black Belt Tamera Lake for helping to test our students. 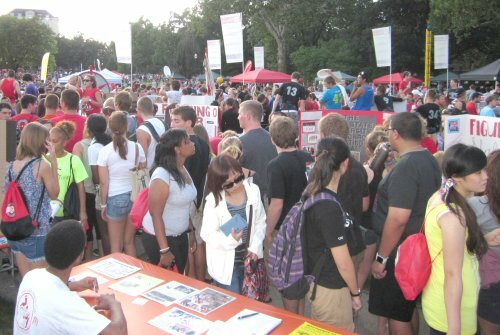 sing-alongs, over 300 members of different campus groups were on hand to greet the new students. 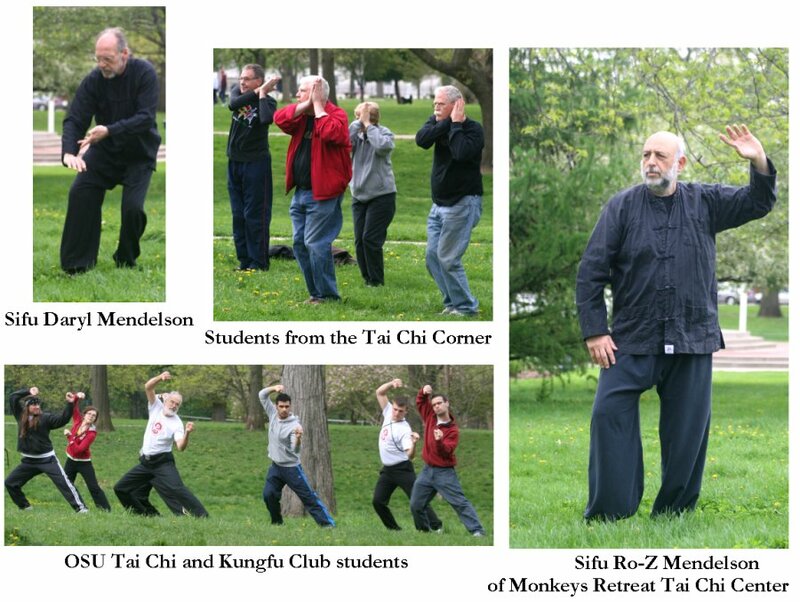 Tai-chi, Ba-qua Zhang, and Shuai Chiao Kungfu presented observations and methods from their styles. Thanks to all students and instructors who made this a special and successful event. 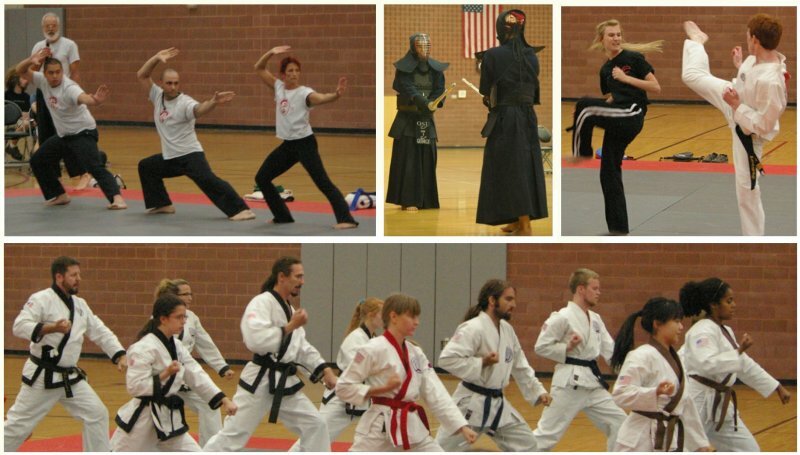 Head Instructor Mike Grigsby represented the OSU Kungfu Club at this special event. 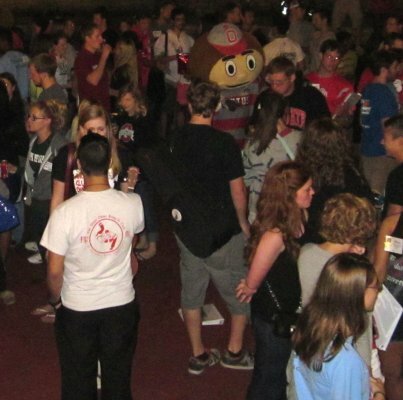 the Ohio Union Performance Hall, April 7th, 2013. The USA Team finished in third place, more results to follow. who qualified and traveled to China to compete on the USA Team. 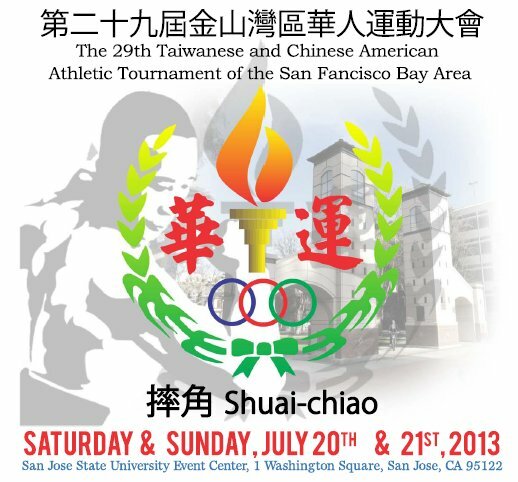 OSU Hosts the USSA Shuai Chiao "Mini-Camp"
United States Shuaichiao Association: our national organization. 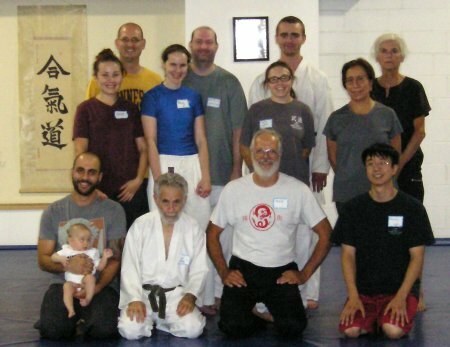 The Camp was presented by Dr. Chi-hsiu Weng, the founder of the OSU Shuai Chiao Kungfu Club, and his son, Jan-yu Weng, who is the current President of the USSA. 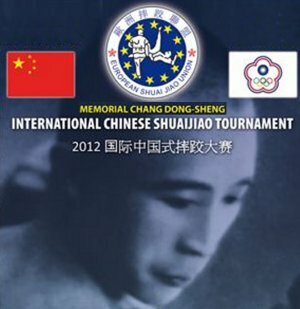 Shuai Chiao competitors from as far as California and New York attended this special event. 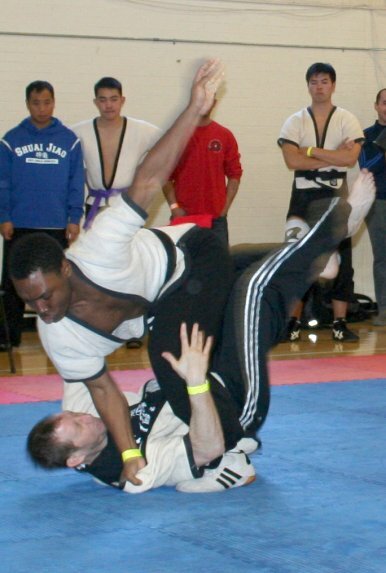 Thanks to all the Martial Arts Sport Clubs at OSU, and Rec Sports Staff, who made this a successful event. Young Judoka Trey Misiolek, instructor Mike Grigsby's nephew, joined us for an end-of-Summer throwing session. 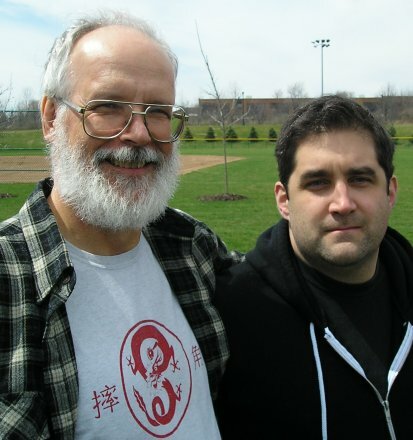 Mr. Jerry Sheldon, and Mr. Raymond Trepanier, who were on the testing committee. and Sunday afternoon at this year's Central Ohio Asian Festival. The Kungfu Club Treasurer Eric, President Nick, Emil Slobodnik, Coach Grigsby, and Fabricio Castellano at the banquet. 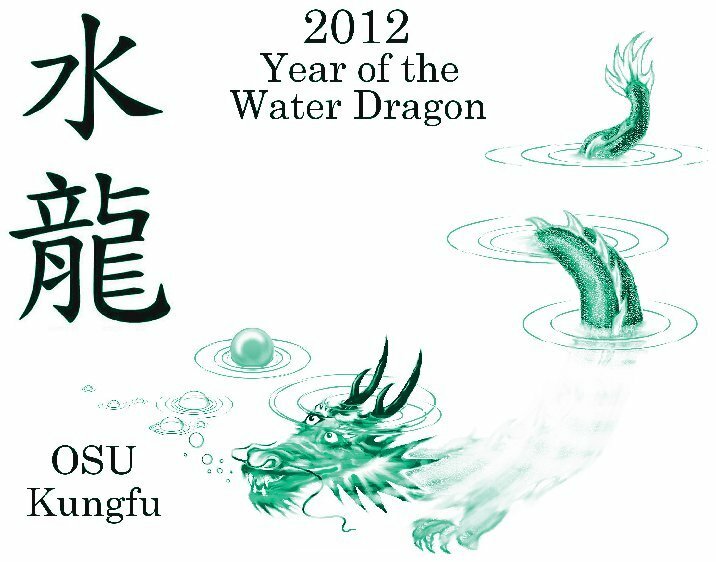 The Shuai Chiao Kungfu Club was recognized for placing at the 2012 Shuai Chiao Kungfu National Championships Tournament. Park for our WTCQD event. The clouds parted, and the sun finally came out as we shared our Tai Chi forms with each other. 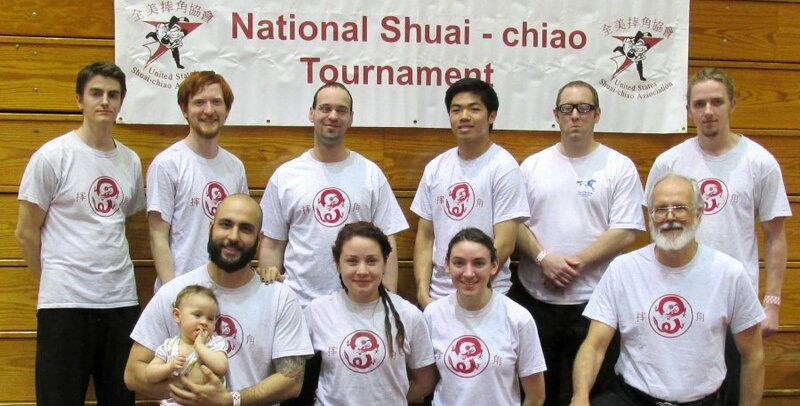 Congratulations to all of the OSU Shuai Chiao Kungfu Club members who competed at the Shuai Chiao Nationals! Marya Barrios returned to take a 1st Place in the Women's Divisions for the second year. after fighting back with four consecutive wins in the second-level bracket. 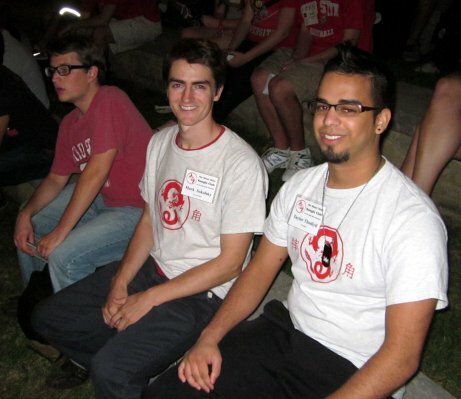 Club President Nick Blum and Safety Officer Ben Crawford both won their second matches. for two regular rounds -- and two overtime rounds -- forcing a final Judges' decision to end the match. 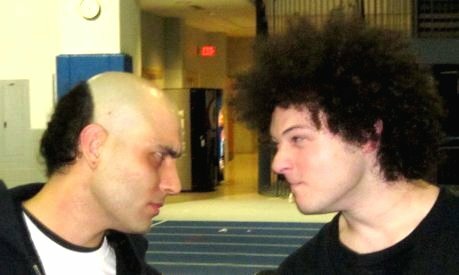 2012 GLKF Kungfu Hairstyle Faceoff ! 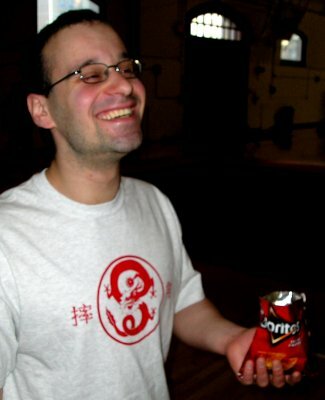 prevailed over the Jet Li Homage style of OSU's Fabricio Castellano. This simple movement could work for you! Even a little self-defense know-how can make a big difference when you need it. 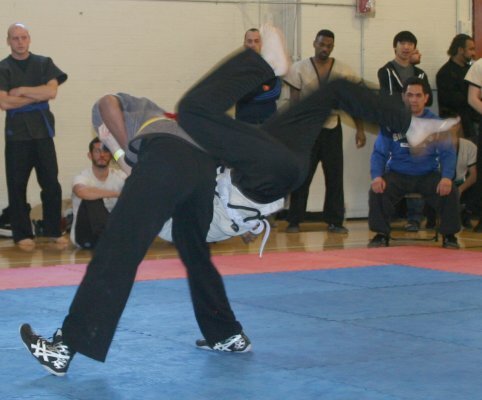 Come to any Shuai Chiao Kungfu Club workout and see for yourself. Club President Nicholas Blum talks with Club members Jahi and Max at our table. 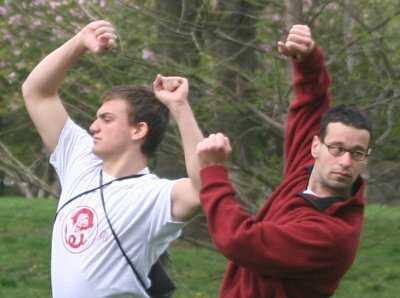 teaching applications of the Tai Chi Chuan "Wave Hands Like Clouds" movement. who served in Afghanistan after graduating from OSU. Winter Break Workout -- we worked on Push Hands, Chin-Na, and Short Praying Mantis Form. December 1st, 2011, to help Rec Sports donate a total of over 1500 toys! Congratulations to our tested Students! Thanks to local Shuai Chiao black belts Mr. Raymond Trepanier, Ms. Tammi Lake, and Mr. Jerry Sheldon for their assistance. (not shown; Emil Slobodnik, Marya Barrios, Fabricio Castellano.) Thanks to the Rec Sports Staff for producing this year's banquet. Thanks to all who participated in this year's WTCQD event! 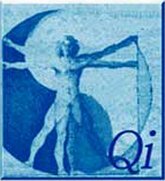 Learn Tai Chi and Shuai Chiao Kungfu with us!